Looking for editor that work on Windows and Mac? Glad you didn’t promote AVS Video Editor. I was misguided to that for music video work. It absolutely can NOT work for it. As soon as you get 3 or more video clips, it starts tripping over transition points and freezing up. Kind of hard to sync to the audio track. Which of the ones you reviewed here do you recommemend for that? I just want a program with some nice filters and transitions which for an, well I guess it’s an AMV. Any suggestions? Does anyone have experience with kdenlive? Cinelera does not run on Windows. Hey My Fav software is Open Shot Thx Dude! please suggest me some good video editors…. do these make mp4 files when being saved? Do you still have the download links? I would suggest hitfilm 3 express. I don’t think it’s open source, but it’s free and works really well for me. I’ve tried most of these and lightworks is probably the best of them, but I just find it hard to use or limited. Hitfilm 3 is my favorite. guys… is there any 32 bit system video editors? can i make efects for lightwork? Oh well. Maybe I’ll just stick with Movie Maker. Is their any open source video editor ,programmed in c#????? Does anyone know an editing software that is able to handle and save HD videos (1080p or 720p)? Will any of these feature cloning ? Offer audio (music types) ? OpenSho(i)t – Full of bugs, always quit with error during work. which is do u prefer? 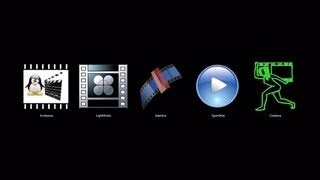 Can any of these editing softwares do video overlay? Can you get Cinelerra for Windows? This is the shitiest video i’ve ever seen. "Complex program" – If you don’t understand how editing works, don’t suggest anything. You presented a negative filter as an example of what the program can do. Who uses that? It’s literally the simplest and shitiest effect that has ever existed.